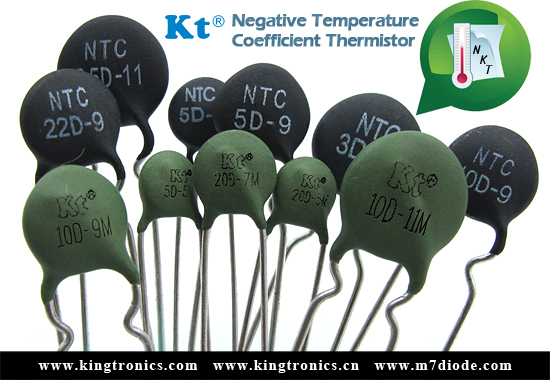 Are you looking for high quality NTC Thermistor Negative Temperature Coefficient Thermistor with incredibly aggressive prices and different material? With the increase in the usage of digital electronics, the miniaturization of components in electronic devices has increased. NTC thermistor is preferred in such technologies for their efficiency in high-tech electronics without occupying much space. The rapid growth in the field of consumer electronics such as LEDs foresees a tremendous growth for NTC thermistors market. Several research showing that the surge demand of NTC Thermistor is fully predictable, Kingtronics wish to help support your business with stable supply and help you cost reduction. 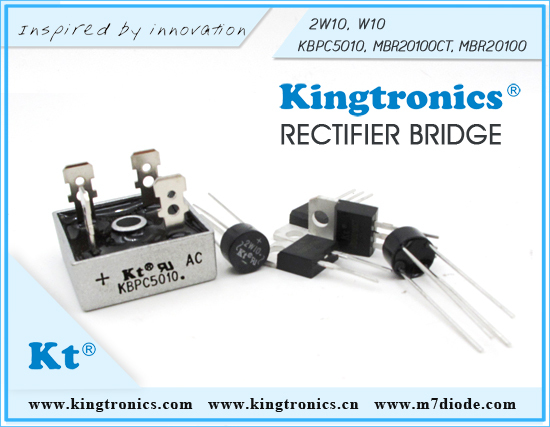 Kt Kingtronics Bridge Rectifier can be used on Switching, power Chargers, Adapter, Module power, LED power, UPS power, EPS power, Medical power supply, Communication power supply, LCD/PDP CCFL, Car power, Inverter, Variable frequency power source, Electric power supply, High voltage source and other power.